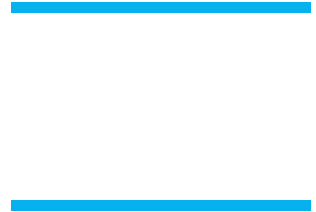 All Buena High Cross Country Athletes are entered to compete at the Woodbridge Invite tomorrow. We are not going to the Ojai invitational. Sorry for the incorrect information that was posted Weds. night! AWARDS: Individual metals to the top 100 in each race. Team trophy top 6 in each race. PARENT AND SPECTATOR PARKING Allow ample time to arrive for your races as you might encounter some traffic (especially on Friday afternoon). There will be a $10.00 parking fee for each vehicle to park at the Great Park on runways off Trabuco Road. Please have runners ride with teams to insure a timely arrival. The only route available for spectators/parents to the parking areas is Trabuco Road. Spectator vehicles will not be allowed to enter through Marine Way. Please follow the directions below. · Exit on Jeffrey Road and proceed North. · Turn Right on Trabuco Road. · Stay on Trabuco Road past Sand Canyon and enter into the Great Park. Teams will be provided parking permits for team vehicles to enter on Marine Way. The following route will be the only way that buses and permitted team vehicles can get inside the Great Park. · Exit on Sand Canyon Road and proceed North (left turns). · Turn Right on Marine Way (first right as you cross under the 5 Freeway). · Stay on Marine Way and enter into the Great Park. · Follow the signs to the Squadron Lot parking areas.